Plumbing problems like water heater failures, sewer backups and leaks can quickly ruin your productivity and derail your comfort. Serious plumbing problems may even put your health in jeopardy or cause costly damage to your home. Before a minor plumbing problem becomes a major mess, bring in the Elek Plumbing SuperSTARS: 610.432.7001. Providing around-the-clock service, we’ve been voted Best Plumber in the Lehigh Valley by the Morning Call Readers’ Choice Awards. Elek delivers high-caliber plumbing expertise that’s always backed by our 100% satisfaction guarantee. During your Elek Plumbing visit, technicians work fast and efficiently to restore plumbing service and keep your family safe. Your family’s health and safety are priceless, and they are our #1 concern. A can-do attitude. You deserve the best service, so we deliver. We treat your family and home with respect and care. We take time to listen, provide no-gimmick pricing and keep our promises. Elek’s Bethlehem plumbers are available 24 hours a day to repair sewer and drain clogs, leaks and water heater failures, sump pump malfunctions and other plumbing emergencies. Our SuperSTARS are the best in the Valley, offering expertise in drain cleaning, leak repair, water heater installation, water treatment systems and more. 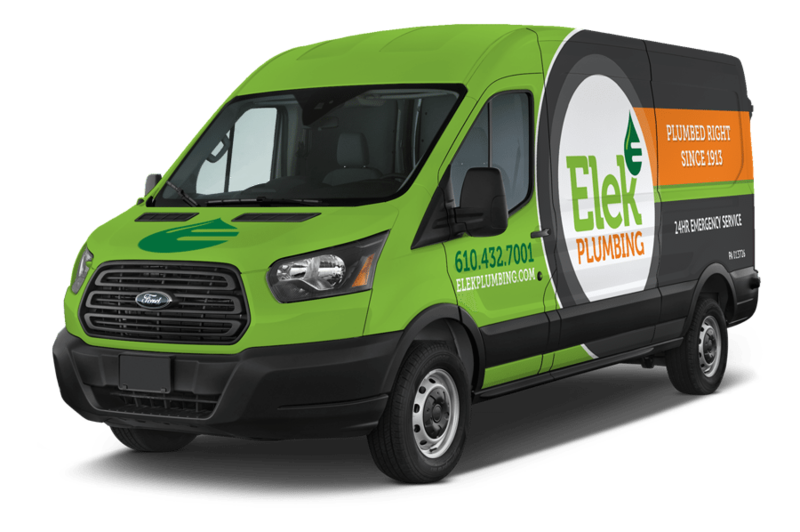 Call 610.432.7001 to reach an Elek Plumbing support specialist. Bethlehem homeowners can also schedule service online. Serving Lehigh County, Bucks County, Northampton County and Carbon County, we provide competitive financing and exclusive online discounts to stretch your budget. To request general plumbing services, water heater upgrades, garbage disposal repairs or whole-house re-piping, call or email the Elek SuperSTARS today!